I am eternally grateful for my career as a kids yoga teacher. I am blessed to be a part of this movement. Hope to see your little one on the mat!!!! When I was growing up, I was tested, diagnosed and medicated for learning disabilities along with ADD/ADHD. I remember driving far distances with my mom to go through this process and I remember sitting in psychologists offices being “quizzed” and “tested” with different methods like blocks, cards and other methods that would determine my “disease.” I was in the third grade when I started taking the little yellow pill, also known as Ritalin. I spent my elementary years all the way through college taking this little yellow pill (on and off) that was prescribed to me as a “fixer” for my ADD/ADHD. Through my years of taking Ritalin and being categorized as being ADD/ADHD, I noticed my level of anxiety increasing and my body weight dropping. I never had an eating disorder and I was always involved in sports and other physical activities. However, because the Ritalin suppressed my appetite and made me look and feel unhealthy, I was often asked if I had an eating disorder. This assumption only increased my insecurities about feeling different and along with my level of anxiety, I felt like a hot mess. I was not lead to yoga at this time in my life and I know now that had I been doing asana, pranayama, mantra and meditation, then I would not have taken Ritalin nor would my anxiety level have increased. There are so many benefits to yoga and ADD/ADHD and with the rise in children being diagnosed and medicated, it is important to educate parents and teachers of these benefits. It is important not to medicate the child and to expose them to more holistic techniques that will not deplete their energy or their creative abilities. The little yellow pill was the pill that tuned me into the classroom and allowed me to achieve multiplication and spelling. Math was one of my diagnosed learning disabilities and achieving the subject helped boost my confidence in the classroom. What didn’t feel good was the Ritalin and the coming down off of the drug. This would cause me to act out in emotional outbursts, which left me feeling frustrated beyond words. Every time that I would try and get off the Ritalin and go to school Ritalin free, my grades and performance would drop, which then lead to parent/teacher conferences and then eventually lead to me being held back in the 4th grade. As I look back, when I was not on Ritalin, I remember only achieving in math, science and social studies when my teacher was on a topic that actually interested me. In the meantime, one thing that was never considered in my diagnosis was the fact that I always achieved in arts, creative writing, gym and recess! It appeared to me that they never considered arts, creative writing and gym as subjects that were important enough skills to develop or have in this left brained world. Although recess may not have been a subject, it still showed that I was social, playful and in love with the outdoors. If I was such a star student at recess and gym, then I surely would have appreciated doing yoga at school. There are so many benefits to yoga for children with ADD/ADHD. *Can help promote a sense of need from others. According to Marsha Wenig’s book Yoga Kids, “since focus is at the very core of yoga, it might seem nearly impossible to convince your attention-deficit child to hold still in a pose for more than a moment, but you’ll find the act of doing yoga is often enough to hold her attention.” It takes regular practice for children with ADD/ADHD to be able to receive the benefits of yoga. These children should practice at least two to three times per week. They will benefit most by doing a full hour of yoga at school or with their parents. As a kids yoga teacher, I find it difficult for the younger children to practice for more than 45 minutes and easier for older children to practice longer. The key to teaching children is to mix it up. Making cards is a good technique because the child/children can pick different poses or groups of poses for each session. As someone who was diagnosed with ADD/ADHD, it seems right that I have created my own games and activities to use in my yoga classes. I have created games and activities centered around memory and brain challenge simply because that is what I remember doing in my diagnosis process/therapy. These games don’t test the child’s brain and attention ability, but rather helps develop it according to their own process. Children with ADD/ADHD should avoid loud or fast poses because they are likely to become overexcited and over stimulated. They need poses that require a lot of strength and concentration- like the Warrior series and balancing poses. The combination of breathing exercises with asana helps children with ADD/ADHD develop greater body awareness, emotional balance, and concentration, which increases their capacity for school work and creative play. Why prescribe Ritalin when you can do pranayama? Pranayama is an excellent technique for children with ADD/ADHD because it helps to calm the nervous system, decrease stress and improve focus and the ability to concentrate. Exercises like Bunny Breath help children to boost their energy and clear their minds. This breath gives them a feeling of relaxed alertness, which is an optimum state for learning. It also balances the brain through the rapid intakes of oxygen that provide the brain with essential fuel. There are several other pranayama or breathing techniques that can benefit children with ADD/ADHD. Below is a list of other pranayama techniques and the benefits. *Sighing Breath: allows the child to release stress by sighing out of the mouth. *Sun Breath: helps the child feel the rise of the inhale and the gracefulness of the exhale. *Humming Breath: allows the child to feel the hum in different areas of the body like the chest, face, lips, and throat. There is no question that we live in an over stimulated world where technology has divided our attention and created an even more demand for meditation. Children are affected by this just as much due to computers, video games and television. It is important to educate the child/children about meditation so that they can learn to still their minds and not become over stimulated. According to the article How meditation helps multitasking “attention is like a muscle that needs to be trained. If the muscle is untrained, the mind wanders all over the place all day long. The same thing applies to any skill- it takes practice. Media multitasking involves the ability to attend to something and make a decision . Part of what kids should learn is to make a choice.” This is related to the fact when children meditate they are more likely to stay focused on a task for longer periods of time without any distraction. They also learn to listen to their inner voice that guides them to slow down and choose the task that is more important versus the one that can wait. Children will not learn these techniques unless they are taught them in places like school. Another form of mindfulness that children with ADD/ADHD can benefit from is mantra. Sat Dharam Kaur said “while chanting, 84 meridian points on the upper palate are stimulated, creating all kinds of beneficial brain chemistry alterations.” She believes that chanting mantras can help balance neurotransmitters in children with ADD/ADHD. Chanting also helps the frontal lobe activity. The frontal lobe is responsible for Executive Functioning, which is an area of the brain that is underdeveloped by anyone with ADD/ADHD. When this part of the brain is underdeveloped it makes it harder to pull it all together and be successful. Executive Functioning is said to provide the ability to plan, organize, task, control emotions, keep track of time etc.. Studies have indicated that the results are positive when testing this part of the brain at the same time that one is chanting mantras. Chanting and meditation have no side effects and the results last longer than any yellow pill that a doctor prescribes. I remember playing the game hot/cold as a child. My dad would hide my toy somewhere so that I could find it. When I was far away he would say ‘cold’ and the closer I came to the toy, he’d say ‘warm.’ Once I got right near it, he would say ‘YOU’RE ON FIRE!.’ The mysteriousness of the objects hiding place would have me looking while also being encouraged by my fathers voice. I also remember playing this game with teachers and friends as we would hide various objects. I have found that this game is a good way to get kids to interact with one another while encouraging the other to find the hidden object. To me it is related to yoga. How? In yoga we find ourselves. It’s not necessarily an easy or fast process. We often go to cold or hot places that leave us wondering where to turn next. Where to go to find the truth. Just like in the hot/cold game, we are encouraged by are family, teachers and friends on the place that is best for us. So where does kids yoga come in? *Take yoga pose cards and use one at a time as a hot/cold object. * One child leaves the room while the teacher hides the yoga card under a mat. * Once the child finds the pose, everyone in the group performs the pose. The teacher can also give the child playing a stamp or sticker after he/she finds the card. You can find ways to prepare them for the game. Mindfulness exercises and breathing techniques like volcano or sigh breath help calm them while also preparing them to concentrate. Kids love interaction and they love encouragement. They love being challenged where they can be rewarded. If you are in a class situation where you need an assistant, you can ask a parent to volunteer by sitting outside the class and distracting the child from going back into the room. Whatever you do have fun and do yoga! Kids love to play and believe me, kids enjoy acting like a dog or a cat! One thing that you and I have in common is that we breathe. It’s a function we all do and we really don’t have to think about it. However, sometimes you just need to stop and really feel your breath. You just need to take a moment and pause to listen to your heart beat as you inhale and exhale. When you take a moment to stop and become aware of your breath, you become happier and more relaxed. Life flows so much better when you are relaxed and happy. Balloons are like reliving childhood days. They remind us of birthday parties, festivals, carnivals and now, in my kids yoga class they remind kids to breathe. 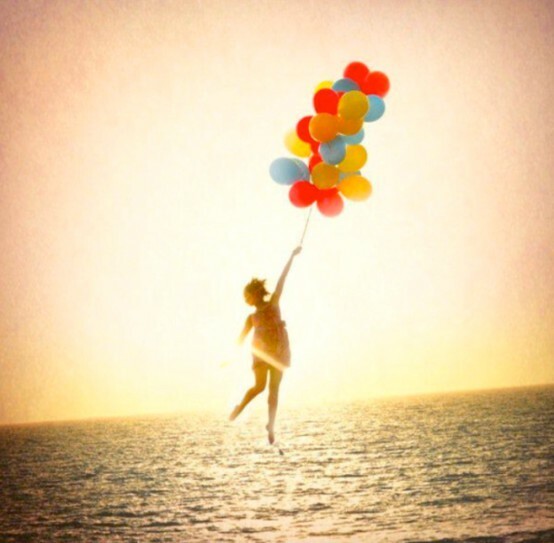 So what do balloons and breathing have in common with kids yoga? The obvious…First of all kids love balloons and second of all it is a great way to practice being mindful of the breath. Kids need to be taught breathing techniques that are powerful in helping them to relieve stress, but also fun and creative at the same time. They don’t necessarily blow up balloons on their own at a young age, but balloon breath teaches them how to center in on their core and use their lung capacity to breathe more powerfully. Fills the cells with oxygen and recharges the battery, which signals the body that all is well. Balloon breathing is fun, powerful and simple. All you need is a balloon and a child with the willingness to blow up a balloon. Try it with your kids, in a kids yoga class or even by yourself. – Ask the children what they think balloons and yoga have in common. You never know what you’ll get. For example, I had a little 5 yr old tell me it would strengthen her. I encouraged her that her response was correct because it strengthens the lungs and the belly. -Start blowing up the balloon. You don’t necessarily have to encourage them quite yet to blow up the whole balloon. For some kids it is difficult to blow up a whole balloon, so encourage them to try their best, then stop and start over. Encourage them to pause and notice their lungs and belly. You may even have them point to their belly button just to get a feel for this part of the breath. You may even remind them that lungs are like balloons inside of them. In a kids yoga class setting, it’s best to practice this exercise at the end of class. You don’t want to distract them from other activities you may have had planned that doesn’t involve balloons. Also, considering germs, I bring extra balloons so that I can blow up a balloon for the ones who can’t do it themselves. There are so many ways to connect with your inner child! One of my favorites is crayons. Crayons for mindfulness. Coloring is a mindfulness exercise. It’s a free expression of mind/creativity connection. It’s about being mindful and creative at the same time. Crayons can also be used in other activities. I love getting a few crayons and a paper plate to play a fun yoga game! Look below and read the following steps on how to have fun with your feet using crayons! This is fun to do with the kids, in a kids yoga class or just someplace where you can express your inner child. 4-5 Crayons, paper plate, one of your feet and your creative mind. 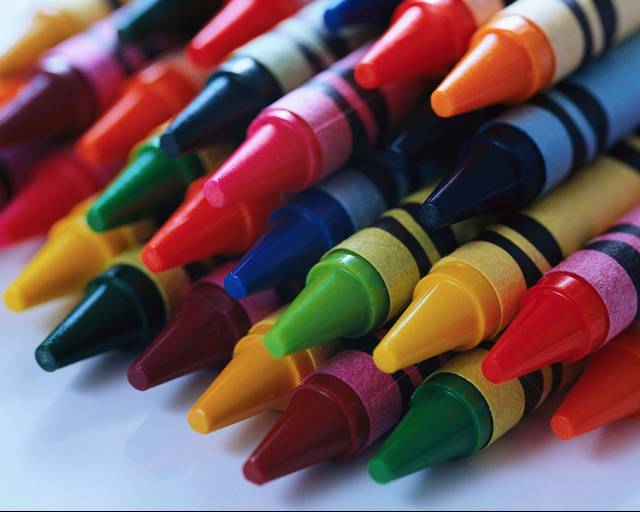 -Lay the crayons out on a mat and stretch your legs out in front of you. -Start stretching, touching and massaging your toes. Feel them as you would your hands. -Once your toes are stretched and warm up, start using your feet and toes to pick up the crayons. -Place the crayons on the plate. -Use the plate as a goal. Once the crayons are on the plate, reverse by now using your feet and toes to pick the crayons up. -Try this a few rounds and connect your creative mind with your toes. -Now take the crayons and draw a picture on the plate using your toes! -Stay present and be mindful of your toes, but stay connected to your creative mind and spirit. 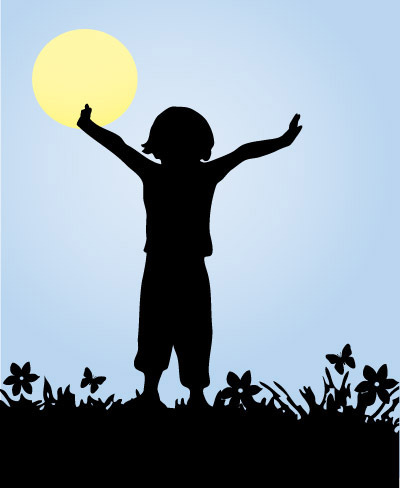 Have fun and let your inner child shine through! !